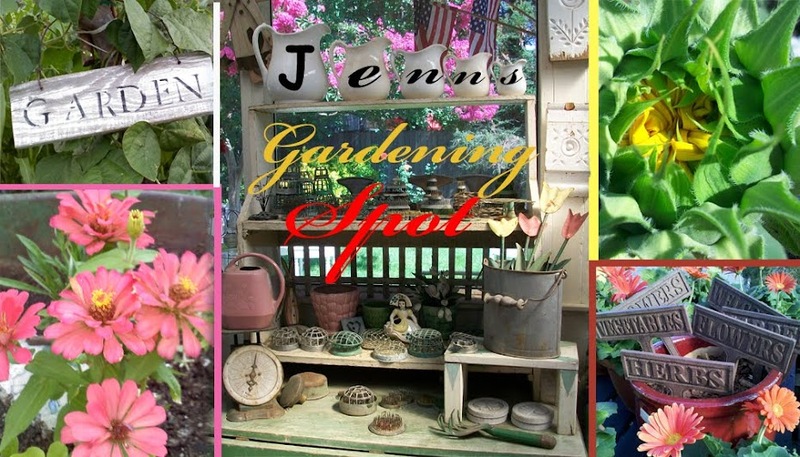 Jenn's Gardening Spot: Welcome to my garden! I have not posted much about my garden. I thought I would share a few pictures of how things are growing! 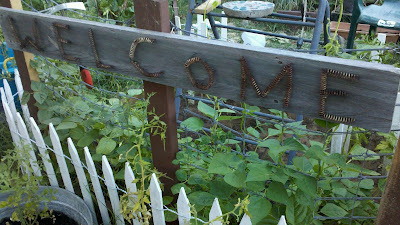 The above picture is the welcome sign made on a piece of old barn wood. 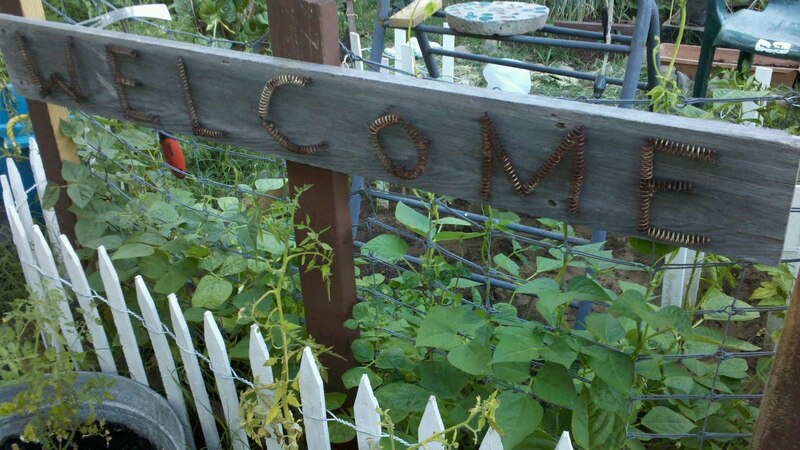 I used old springs to spell Welcome. A fun recycling project. 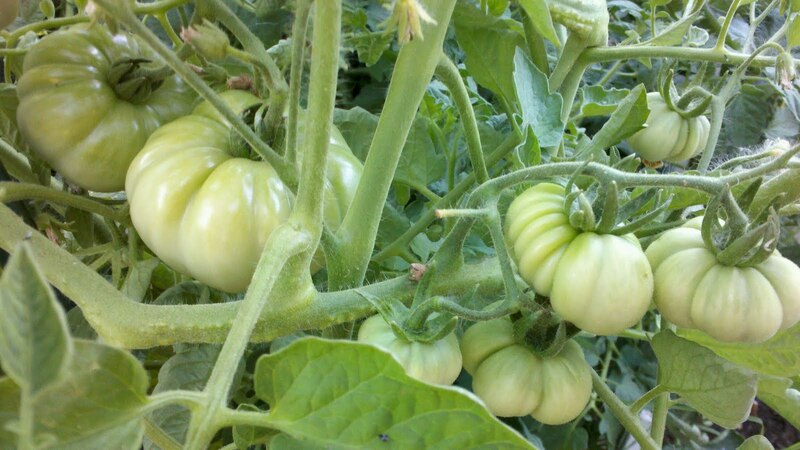 These are my Costalvo heirloom tomato's! My four plants are loaded. Cant wait to try them. These Tomato's are Black Krim! My favorite! My plants are pretty loaded with these babies too. I make marinara and pizza sauce with these. Soon they will turn almost a burgundy color. 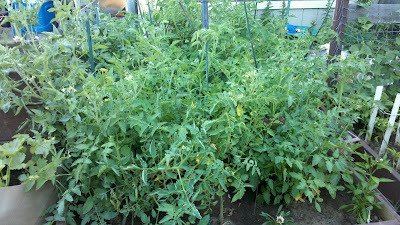 This here is what I call my Tomato jungle! I have 12 plants in here. Giant Smooth, Costalvo and German Green with a pepper plant in the right hand corner. 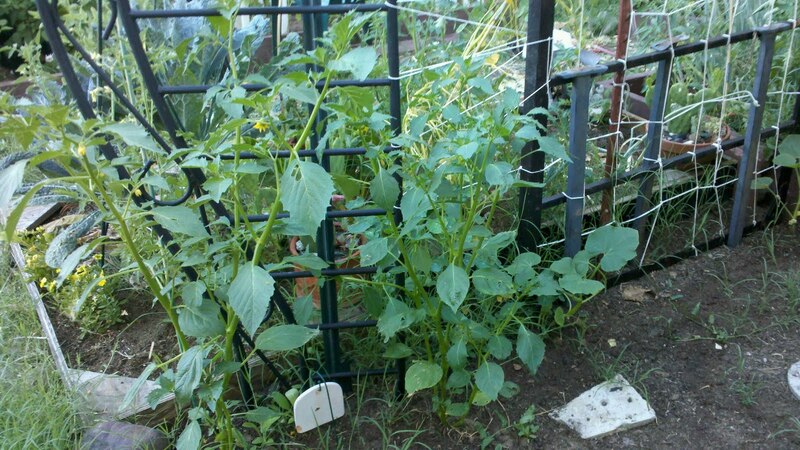 In this garden bed I have Green beans in the back growing on a trellis. Peppers on the sides and Cucumbers in the middle. 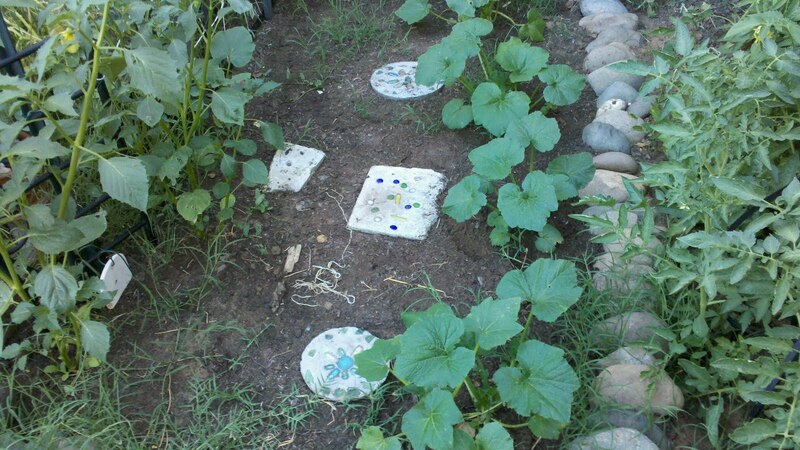 My Cucumbers are just getting started. 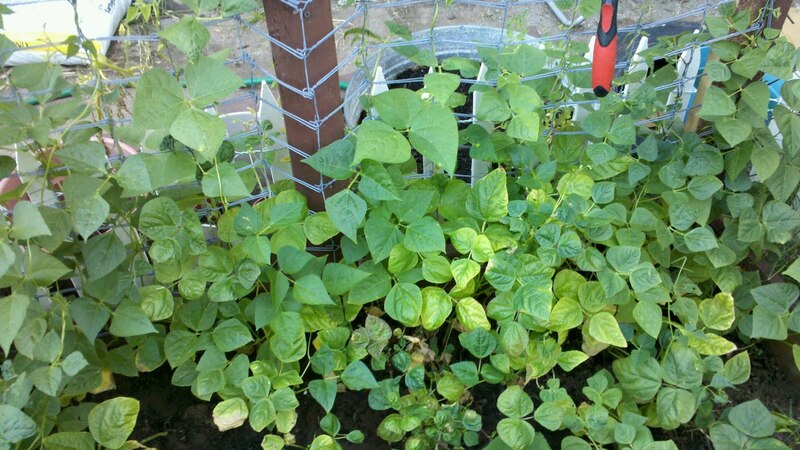 These are the beans in the garden bed with the Peppers and Cucumbers. I made this trellis from the wire mesh of a bed frame. Basil, yum! One of my favorite herbs. 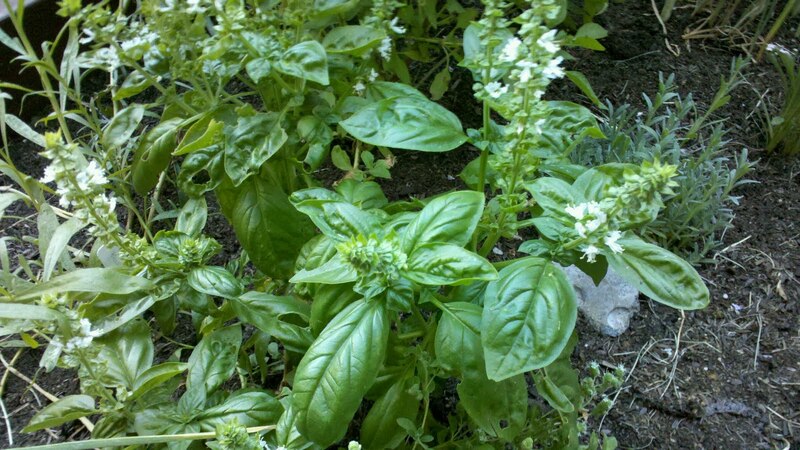 Lots of Basil throughout my garden. This is my Squash area. 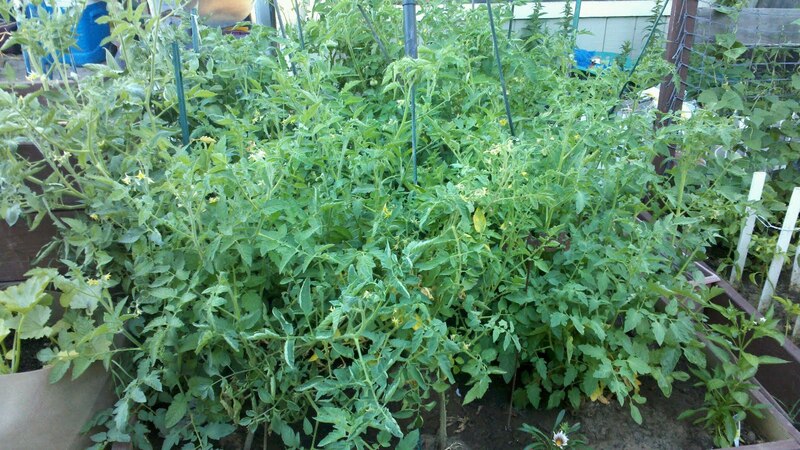 Some Tomato's to the right and Tomitillo's on the left. The walking steps are made by my kids. A better view of the Tomitillo's. 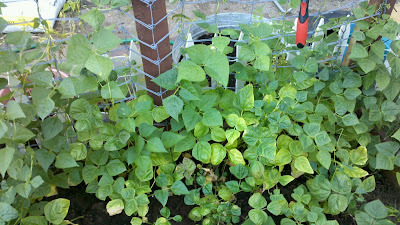 My bean trellis's. I just planted Christmas Lima beans. 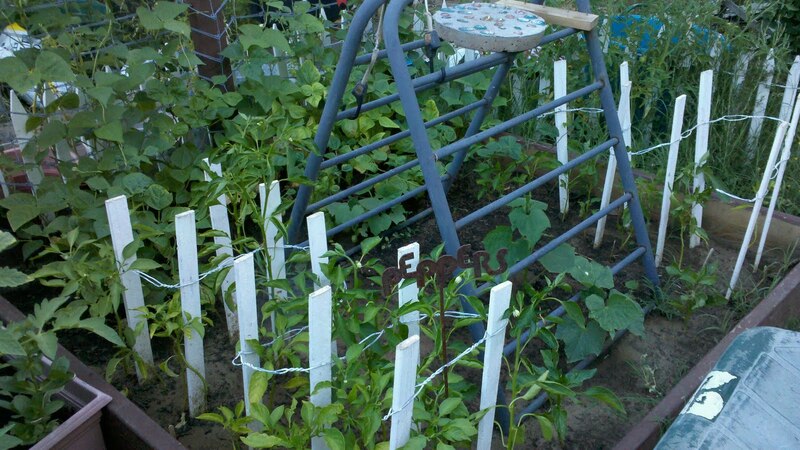 Can't wait to see how the trellis works out. Also made from recycled bed frames. 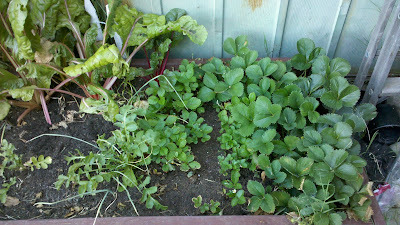 My Strawberry bed. Not many Strawberry's yet! 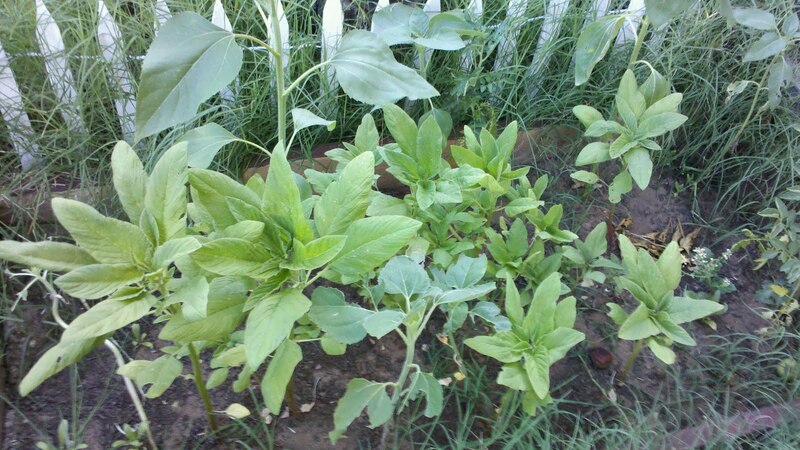 I did start these plants from seed. Mixed in I have Garlic and Chard. The Chard is starting to look old. I will probably pull it soon and toss it in the compost. This is my experimental flower bed. I planted Love Lies Bleeding, Sunflowers, Sweet William and a bunch of other flowers. Just tossed in the seeds. Exciting to see what will pop up! Last but not least, this was my edible/flower garden. 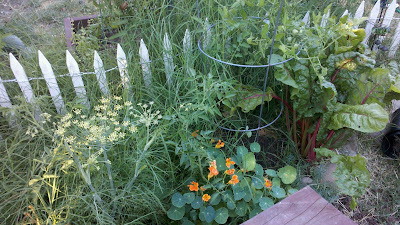 Tomato's, Chard, Fennyl, Nasturtiums, Oriental Poppy's, and Zinnias should be popping out soon. Well there it is, most of my garden. 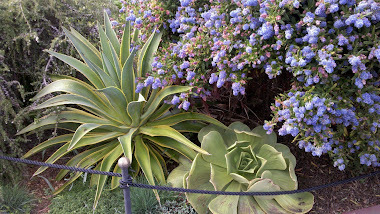 I will post pictures of my edible front yard soon! Looking good! My garden looks similar..but your tomatoes are much bigger! I need to get out and spend some more time working in mine...but stuff keeps happening in my life to keep me busy. Thanks for sharing the pics! I love the sign you made with old springs, such a cute idea! 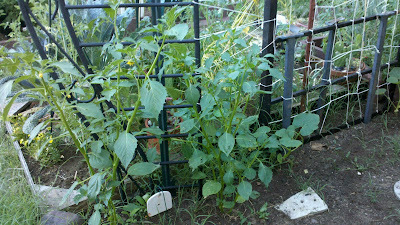 Wow, those tomato plants are huge. Your basil looks good, too. How do you keep it from taking over? Everytime I plant basil somewhere other than a pot, it overtakes the other plants. That experimental flower bed looks neat, too. You'll have to post pictures when the flowers come in. look at you grow girl!!! it all looks wonderful...very healthy...and very yummy!!! can't wait to see more! 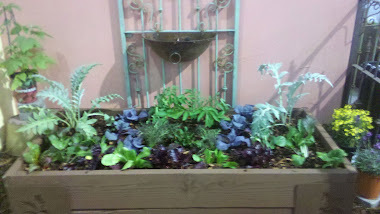 Your garden is happening, Jenn! I have so many ideas for next year already! Thanks for the inspiration! 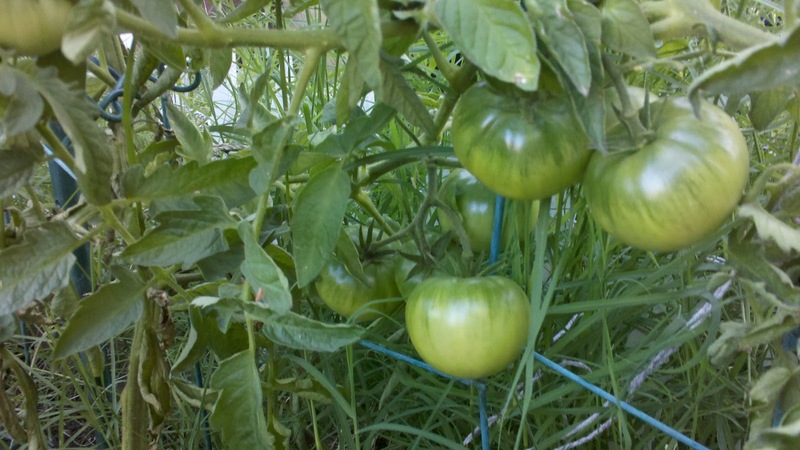 I'm jealous of your tomatoes! My tomatoes have black spots on its surface. What do you think is the problem? Give me some tips please.Thanks. Melanie, you good have blossom end rot! Which usually means you are over watering! Your Costalvo’s heirloom tomatoes are great. I now know why it is called heirloom tomatoes because they have ridges which look like my old grandmother’s heirloom.